Featuring the stars of Lego Schindler’s List and Lego Moulin Rouge. Months ago I played Grand Theft Auto III, and hated it so much that I didn’t finish. At the time I had another GTA game on my shelf, which you may have noticed never made it to this blog. I didn’t just set the disc on fire out of hatred for the series–although in an Odyssey of the Mind style hallucination, I did consider re-purposing it as a coaster, a wall decoration, a tiny stage for pet mice to perform on, a projectile to hurl at my neighbor’s overly-excitable dog, or a shim to level out my wobbly kitchen table. No, instead, I put it in my PS2, which immediately responded, “Ha, ha. Funny joke. Now put a real PS2 game in my tray, would you?” I tried repairing the disc, but apparently someone before me had re-purposed the game as a nail file. “Fine by me!” I thought. I didn’t want to play it anyway! 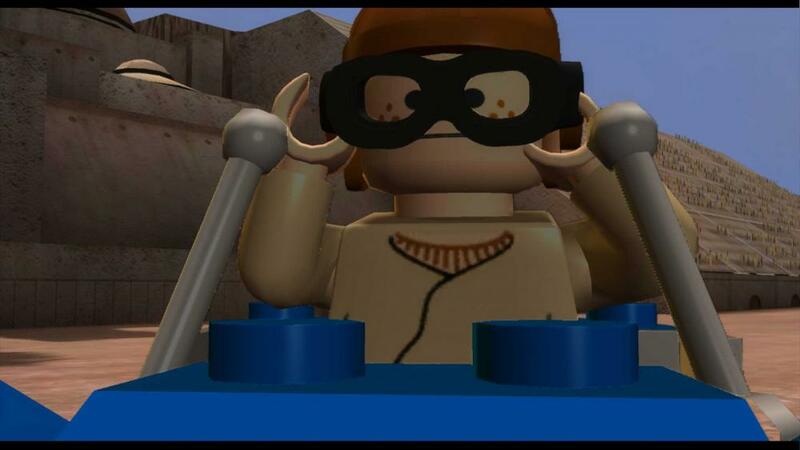 And I moved on to a more interesting looking game: Lego Batman. Which promptly seized up at the beginning of the Penguin’s story arc. Moral of the story: don’t buy used games at Savers. But what can you expect from a store that would chuck Mega Man 2 in the trash for its age, but then try to sell six dozen Madden games for $4 each? Yesterday, I actually found high school sports trophies, engraved with the names of the winner. But Conker’s Bad Fur Day? Burn it! Damn cartridge! I want a good clean fight. No severing arms. No blasters. No Force grabs below the belt. Oh, and your droids. They’ll have to wait outside. 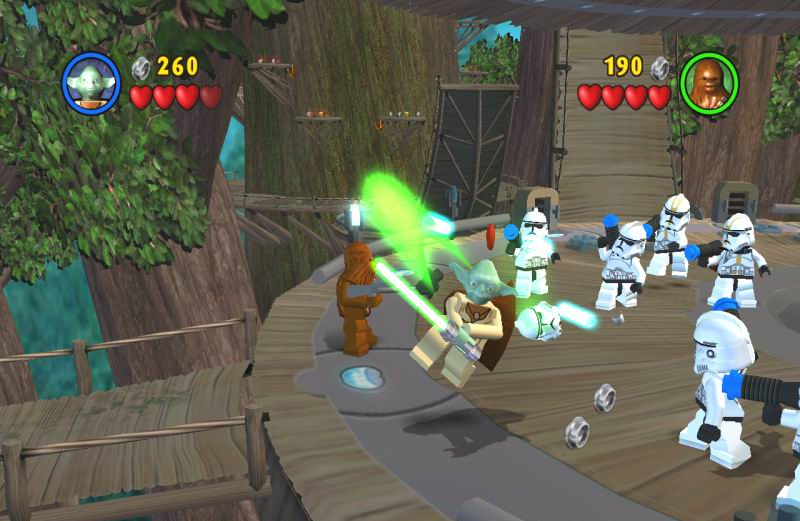 Lego Star Wars covers the prequel trilogy, but otherwise bears no differences to Lego Star Wars II: The Original Trilogy. Pretty good, huh? One of my best reviews yet. Oh! Wait! I’ll do it as a haiku! Special Ed…momma dropped him on his head…now he’s not so bright, instead…he stars in the Phantom Menace. Uh, Obi-Wan…maybe not use the Force on me for a while. That light looks like it might cause cancer. While the enemies all act like pricks. 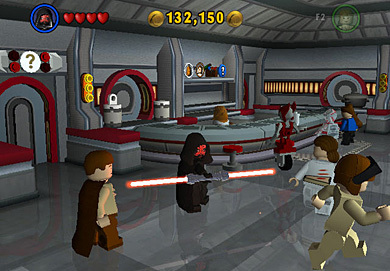 While the other Lego games don’t exactly force you to look up walkthroughs, this attempt eliminates the need entirely. It doesn’t really employ puzzles or more than a few secrets, instead focusing on a run-and-gun, Mega Man style of gameplay. 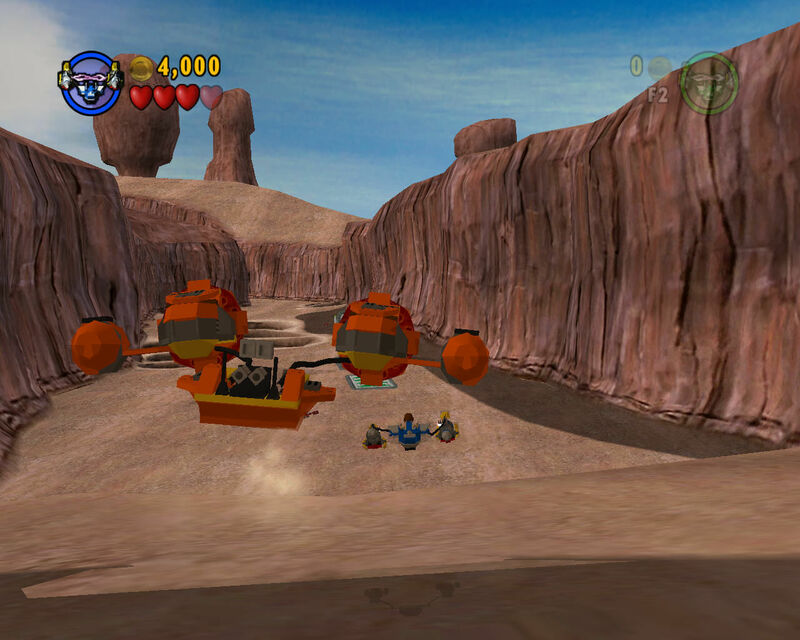 The vehicle levels control well, surprisingly welcome from Lego Star Wars II’s underwater-shark-rodeo vehicle handling. It does result in a slightly too easy game, but they don’t exactly market these games to the World of Warcraft or the competitive Smash Bros. crowds. Beating the game in two days actually made the experience rather pleasant. A 900-year-old arthritic ninja muppet and an 8-foot tall Wookiee, pissed off that he missed Life Day. I think we have either the makings of a buddy road comedy or an action cop drama here. Nope. I checked. Still no one cares about the pod race. …yeah, I just make my job harder for myself. Maybe I’ll have something to say six months from now. Oh, and Pod Racing? Still stupid. 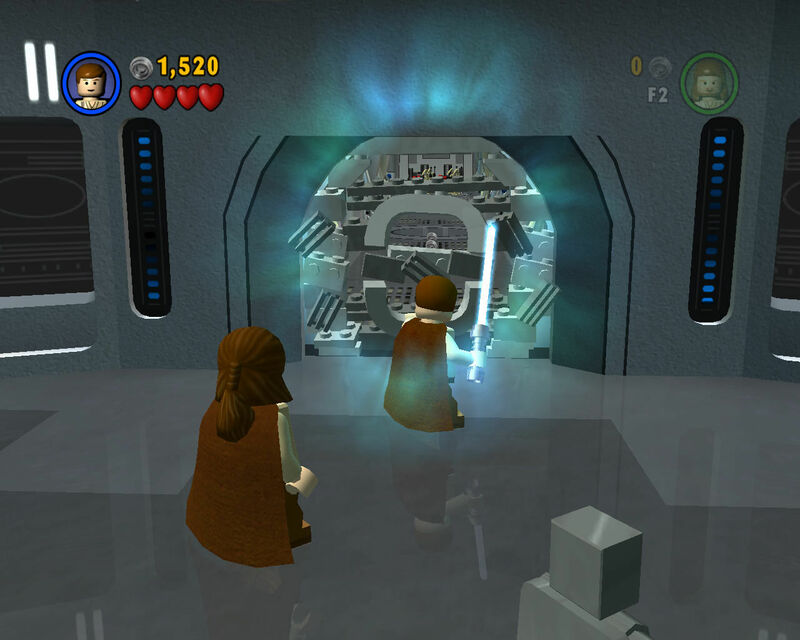 This entry was posted in Game Boy Advance, Game Cube, Lego, Nintendo DS, PC, PS2, Star Wars, XBox and tagged Game Cube, gba, Lego, nds, PC, ps2, Star Wars, xbox. Bookmark the permalink.